Epic Games released Fortnite on Nintendo Switch over the summer, letting users of the hybrid system play against their friends on PC, Xbox, and even mobile devices. If you haven’t gotten a Switch yet and want to get into the game, a bundle coming next month has everything you need. Launching on October 5, the Nintendo Switch Fortnite Double Helix Bundle includes a standard Nintendo Switch system with dock, Joy-Con controllers, and a Joy-Con grip, as well as in-game Fortnite goodies. You’ll receive 1000 V-Bucks, which typically cost $10, as well as a unique outfit, glider, “back bling,” and pickae for use in Fortnite. The bundle will be priced at the same $300 point of the standard Switch, so there’s really no downside to getting it if you’re looking to pick up the console already. 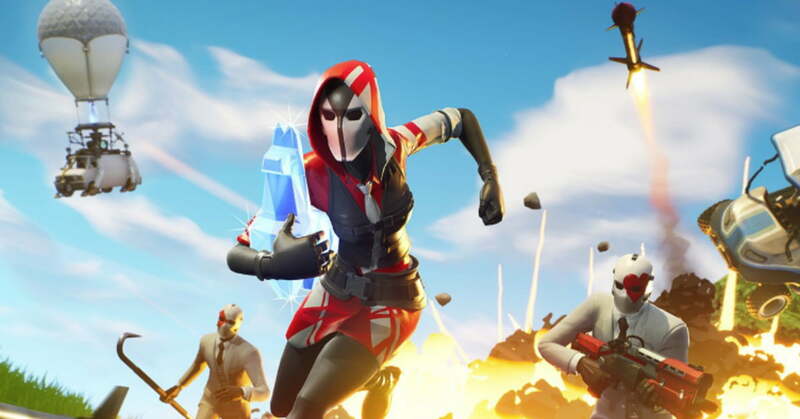 Fortnite itself is free-to-play, of course, but you’ll need to make sure the Epic Games account you plan to use on Switch has never been used for Fortnite on PlayStation 4. PS4 players cannot interact with Xbox One or Switch players, and an account used to play the game on the PS4 can never be used to play on Switch. You can make a different account if you wish, but you’ll have to start over completely from scratch. If Fortnite isn’t your thing, Nintendo has several other Switch bundles available for purchase, as well. These include the Mario Tennis Aces bundle (which also includes 1-2 Switch), as well as the upcoming Super Smash Bros. Ultimate and Pokémon: Let’s Go bundles. The latter two come with special docks and controllers, and the Let’s Go bundle even includes the Poké Ball Plus controller for use in both Let’s Go and Pokémon Go on phones. Fortnite is about to have some new battle royale competition that could give it some trouble, albeit not on Switch. Call of Duty: Black Ops 4‘s “Blackout” mode is a polished and hectic take on the genre, and Battlefield V will include “Firestorm” in a post-launch content update. If Fortnite continues to offer significant updates and tweaks, however, it will likely remain on top for a long time to come.